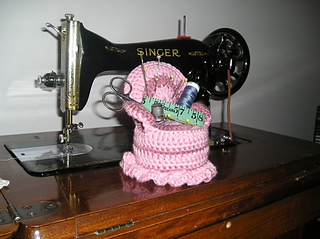 Gauge and yardage do not mean very much in this pattern as this is a toy / home decoration / notion accessory. I designed this when my daughters were young. At the time it made perfect sense as a doll chair, but now that they are grown it makes even more sense to add extra stuffing and use as a pin cushion. 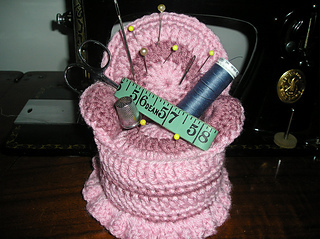 Your DPNs and / or crochet hooks can even be stored around the rim.